-Our cypress + berries soy candle is one of our lighter, fruitier scents. The cypress nicely balances out the tart lushness of the berry fragrance. -Our lavender + chamomile soy candle has a clean, soothing smell. With an equal balance of fresh lavender fragrance and and the soothing smell of piping hot cup of chamomile tea, this candle is perfect for relaxation and aromatherapy. -Our lilac + honey soy candle gives off the aroma of a freshly blooming lilac bush. The rich, nutty blend of sweet honey perfectly balances out the lilac, making it an excellent aromatherapy candle. Candles make terrific wedding and party favors, too! Interested in doing a specialty size container candle in one or more of our terrific fragrances? Message me for custom order details. Send me your ideas and we can discuss your options! I can pour candles in any specialty container that meets candle heat guidelines. The variations are endless! Message me via Etsy or email chartreusecandles [!at] gmail.com. -Our balsam + cedar soy candle is a choice pick year round. One of my personal favorite scents, our balsam + cedar candle a perfectly blended mix of pine, eucalyptus, cedarwood and amber. The tinge of sweet balsam keeps it fresh well into the summer months. -Our vanilla + amber + vetiver candle has hints of deep smoky, earthy-woody odor with a sweet persistent undertone of cedarwood and amber. -Our bamboo + white grapefruit soy candle is mellow mix of grapefruit and tangerine with a woodsy musk base. Another great aromatherapy pick. 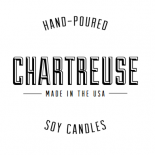 -Our blood orange + ginger soy candle is one of the richest, most fragrant candles from Chartreuse. The ginger nicely complements a crisply tart but fresh scent of the blood orange. -Our mangosteen + cedarwood vanilla candle is lighter, sweeter scent with a rich mangosteen and grapefruit combination and a woodsy vanilla undertone. -Our mint + mango tea soy candle is relaxing combination of fresh peppermint and juicy mango topped off with a base note of freshly brewed white tea leaves. -Our blackberry sage soy candle is a mix of rustic, zesty and tart. The fresh blackberry aroma, melds nicely with the sage, giving off subtle nutmeg and orange undertones. -Our black currant tea + brown sugar fig is a Chartreuse favorite. One of our fullest flavors, this candle perfectly balances essential spices with a slightly sweet twist. -Our asian amber + fig candle has hints of rustic, sugary fig tree seamlessly blended with a hint of oriental amber. -Our bergamot + tobacco + lemon soy candle is perfect for those who love rich candles. Its smooth, smoky aroma has an added splash of citrus for a blended fragrance that both men and women love.